Sony Professional Solutions Europe Pro Audio Division is showcasing prototypes of three new Hi-Resolution microphones. Designed for professional studio and recording applications, the most notable feature of the new Hi-Res studio microphones is that they are capable of extended frequency response up to to 50kHz. These brand new studio microphone models (especially the C-100) build upon Sony’s legendary studio microphone heritage (perhaps best known for the Sony C-800G Tube Condenser Microphone) and continue its recent development of Hi-Res audio products. 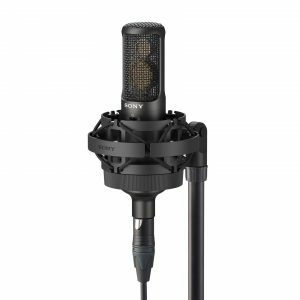 The side address large-diaphragm condenser mic is optimised for vocal use, while the two end address condenser mic models (one cardioid and one omnidirectional) have been designed with instrument recording in mind. With a body structure that prevents acoustic vibration, balanced frequency response a high frequency response up to 50kHz and high sensitivity, the new microphones offer unrivalled sound quality. 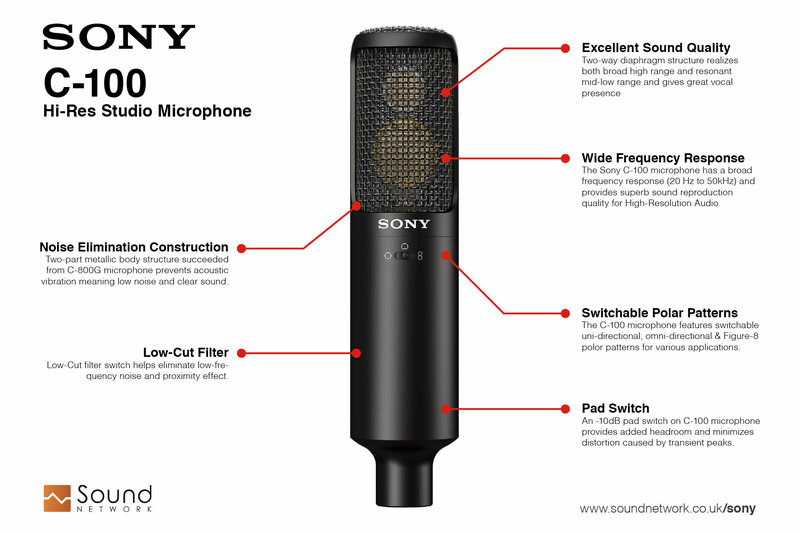 These new microphones expand the Sony High-Resolution Audio line, which has included a complete series of solutions designed to ensure that the latest generation of music enthusiasts can enjoy Hi-Res digital music with the highest level of sound quality available.